Prof. H.G.C. 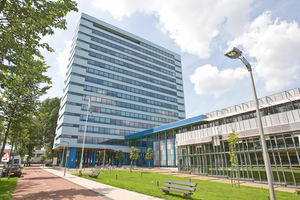 (Henri) Werij is the faculty’s Dean. Werij studied experimental physics at Leiden University, where he obtained his doctorate with honours in 1988. He then worked as a researcher at the Joint Institute for Laboratory Astrophysics (JILA) in Boulder, Colorado (US) and at the University of Amsterdam. 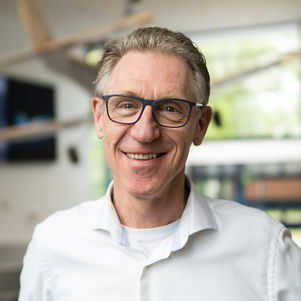 He has been connected to TNO since 1993, first as a scientist and subsequently in a variety of (management) roles. His last position at TNO was Director of Space and Scientific Instrumentation. During his years as a researcher he published over 25 peer-reviewed scientific articles. He has since kept in touch with the world of science: he is a member of the Advanced Research Center for Nanolithography (ARCNL) and of the Dutch Institute for Fundamental Energy Research (DIFFER). Werij was also a member of the Advisory Council of the faculty.